Cheekwood Botanical Gardens proclaims, “Using an inventive array of materials and hundreds of miles of glowing optic fiber, Munro’s fascination with light as an artistic medium will transform Cheekwood’s beautiful gardens into an iridescent landscape.” It certainly does! I was able to experience Bruce Munro’s incredible light display this month. It was awesome. 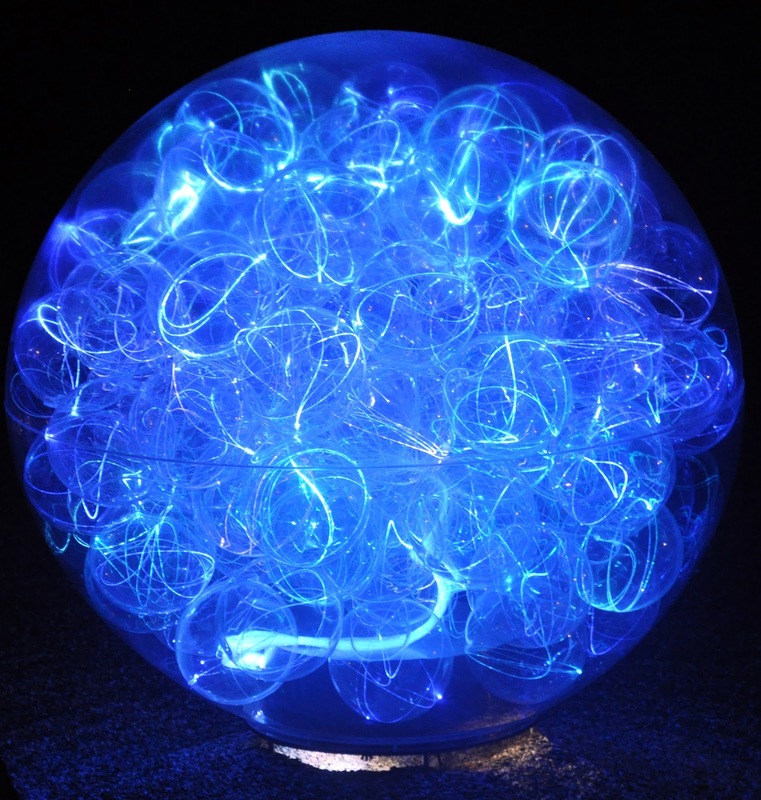 Hailing from the UK, Munro is an installation artist working in light. He creates many different forms of the art, but large scale instillations are his “heart and soul” and best express what he loves about light. He portrays this to the fullest extent at his exhibit at Cheekwood displayed now through November 10th. I’ve been to Cheekwood many times during the day. Its gardens are gorgeous and, the view of Nashville from the Museum of Art is breathtaking. Now Cheekwood at night is just as magnificent, but in a completely different way. Upon entering the LIGHT exhibit, you feel as though you have stepped into a magical place. A friend who went with me to see it said, “It feels like we’re in ‘The Wizard of Oz’ ”. 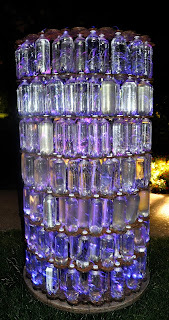 The first instillation is called Water-Towers. It is comprised of 40 structures built out of more than 10,000 one-liter recyclable plastic bottles filled with water, laser-cut wood layers, and fiber optics connected to LED projectors and sound system. Munro chose the music to represent many nations. African tribal songs were playing during my visit. There are nine more instillations through out the gardens and museum. They were all incredible. A couple of my favorites were Fireflies in the Bamboo Garden and Field of Light in the Museum of Art Lawn and surrounding gardens. “The bamboo garden at Cheekwood has presented me with an opportunity to create a magical space of illuminated springs amongst the bamboo. I hope that it instills a sense of wonder and surprise to those that see it,” said Munro about Fireflies. Field of Light consists of a landscape of 20,000 lighted glass spheres, each rising from the ground on a slender stem and is designed to utilize the existing pathways in the garden to allow people to wander through it and view it from various different perspectives. I feel as though I cannot do the exhibit justice with descriptions. You just have to see it for yourself. However, another instillation that I must mention is Light Reservation. What is so interesting about this one is that it is described as “an assembly of tipi-like structures made from spent fluorescent tubes”. However, I didn’t really see it as “tipis”, until I took a picture of it with a slow shutter speed (see right). It appears more like diagonal flashes of light to the naked eye, but the camera tells a different story. “The installation is about my enthusiasm for the imagination; but I also hope that Light Reservation presents people with an opportunity to ponder both the good and bad aspects of our recent history,” said Munro. 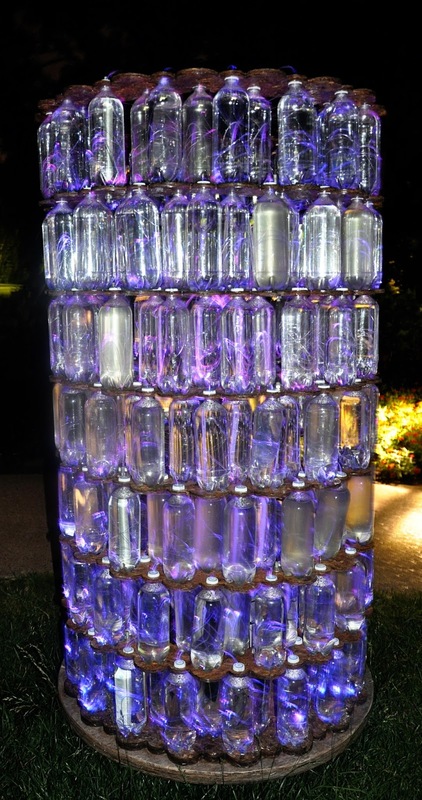 I hope this story has inspired you to spend an evening at Cheekwood. You will not be disappointed! The exhibit is available for viewing Wednesdays – Fridays from 7pm-11pm. For more information go to www.cheekwood.org.